A destructive plate boundary happens where an oceanic and continental plate move towards each other. 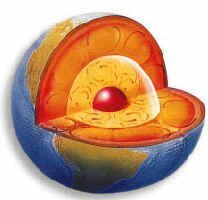 The heavier, more dense oceanic plate is forced under the continental plate. As it sinks below the continental plate the oceanic plate melts due to friction in the subduction zone. 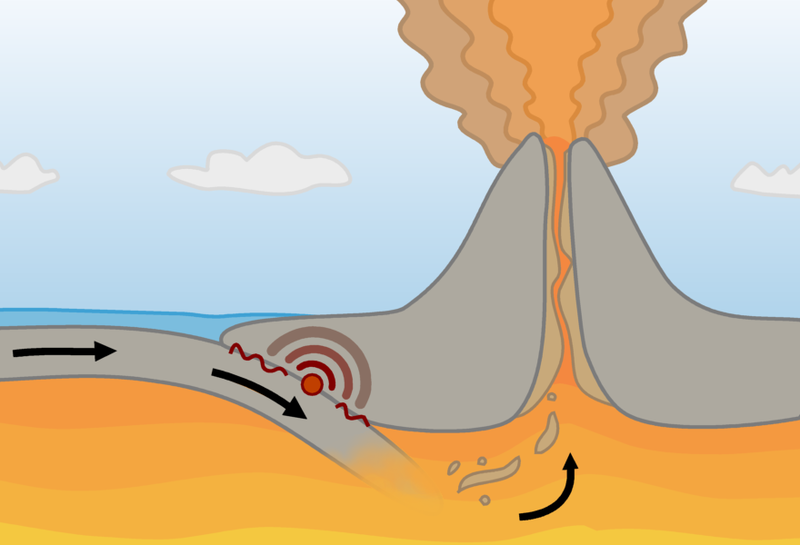 The crust becomes molten called magma. This may be forced to the surface of the earth causing a volcanic eruption. The movement of the oceanic plate is not smooth. Due to friction the plate gets stuck. Pressure then builds up. The plate will eventually slip sometimes causing an earthquake.